Nanu Interactive developers unique and technologically innovative apps that use your device for magical 3D effects. We’re veterans of AAA game development and past presenters at ACM SIGGRAPH who love technology, research and making innovative apps for kids. If you’re bored with thousands of identikit 2D kids apps, give one of ours a try to see what your mobile device is really capable of. Ever wished you could bring your coloring pictures to life? Now you can – with Paint My Cat, the first ever app of its kind! 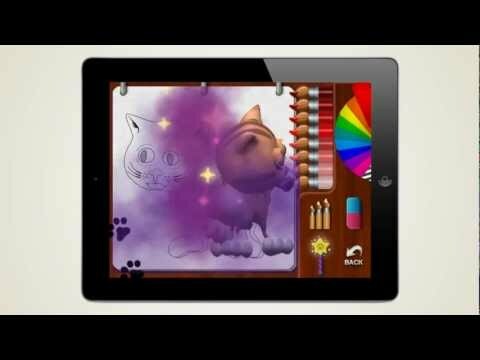 Use the in-app painting tools to color your cat and his playthings and then bring him magically to life. Or, use markers, crayons or pencils to color our special printed pages, use the iPad to capture your work of art, and then play with it in a 3D augmented reality world. Nanu Interactive develops applications that add sharing and magic to family activities. We want to enrich the things you do by using technology to make them magical. Copyright 2012-2017 Nanu Interactive Inc.